Colors is the epic new single from the American EDM duo TRITONAL and LA producer Paris Blohm, featuring on vocals the world class talents of Sterling Fox, due for release on 22 September on Island Dance. With praise from MTV Clubland as Artists To Watch (TRITONAL), writing credits on platinum selling singles (Sterling Fox), and support from DJ Kingpins, Hardwell and Tiësto (Paris Blohm), this colossal collaboration is destined to top charts everywhere. DJ / production duo, Chad Cisneros and Dave Reed a.k.a. 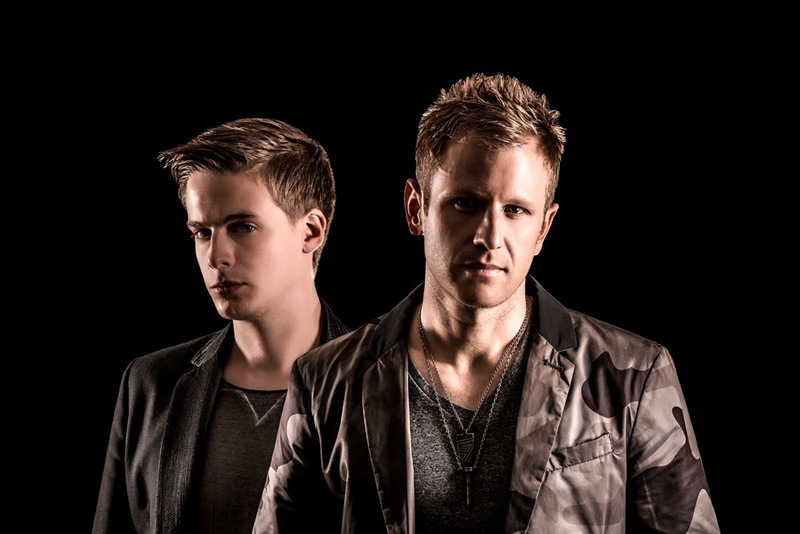 TRITONAL, have firmly cemented themselves as one of EDM’s most exciting acts, after their debut studio album, Piercing the Quiet landed in 2011, producing 8 Top 20 Beatport singles and 5 #1’s that reigned the Beatport Charts for more than three weeks. Masters of their own Metamorphic EP series, TRITONAL consistently conjure their own brand of audio alchemy, with releases like the smash hit Now Or Never (featured on Metamorphic II) which has clocked over 2.5 Million plays on YouTube and 1 million plays on Soundcloud, whilst recent remix successes include re-works for the world’s number 1 DJ, Hardwell, with Dare You, for Zedd with Find You and for trance legend, Armin Van Buuren with Won’t Let You Go. After seven years producing as an unknown artist, emerging progressive house producer, Paris Blohm, hit the big time, signing to the monumental Interscope Records with killer cuts following on Ultra Records, with Synchronize – supported by Martin Garrix and Dimitri Vegas & Like Mike – and the anthemic smash Left Behind premiered by Hardwell at Ultra Music Festival 2014 and later released on his imprint, Revealed Recordings. The credentials for the multi-talented, Sterling Fox, are every bit as impressive. The Pennsylvania-born Singer/Songwriter/Musician and Producer has co-produced records that have sold millions, including Lana Del Ray’s Video Games, and lent his singing / song-writing talents to Avicii for his album True on the track Shame On Me. The official music video for big room number ‘Colors’ features TRITONAL and Paris Blohm, shot across two major US gigs, and showcases the energetic and unforgettable DJ style for which TRITONAL have become so well known. Clubland has already been shaken by the arrival of TRITONAL with a 40-city headline North American Metamorphic tour, a huge appearance at the Electric Daisy Carnival in Vegas, and most recently a mammoth tour of Australia. Watch out for Tritonal landing in a city near you – you have been warned!